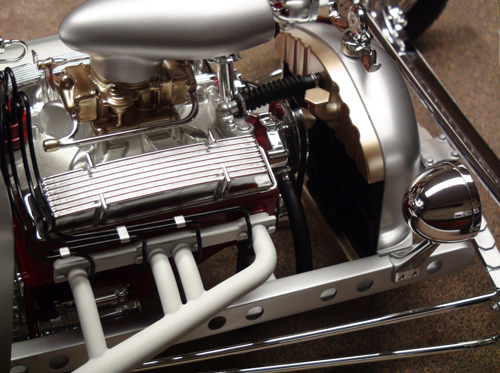 These images show the Quarter Scale Rapid Prototype model of the “RatRod” project, created by Mike Littrell, CEO of C.ideas, Inc. (rapid3d.com). Mike is one of my primary suppliers of precision prototypes using the Fusion Deposition Modeling (FDM) process. All parts were built from my CAD files in ABS, then sanded, primed and painted. 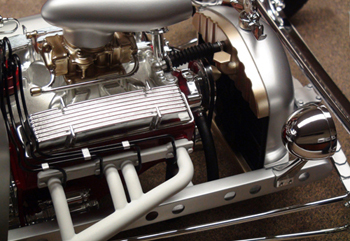 Many of the parts were chrome plated. The tires were built using the PolyJet process. 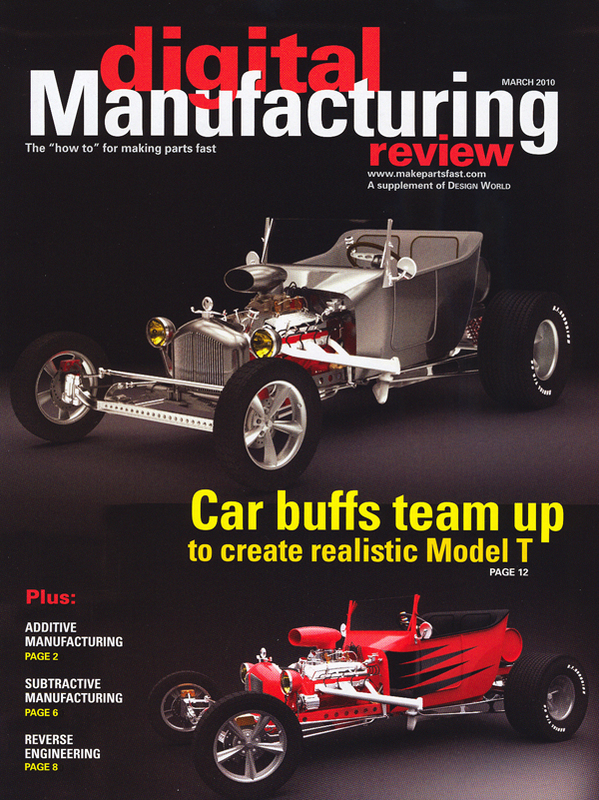 The model is being used in his trade show display, and was just featured in the Digital Manufacturing Review supplement of the March, 2010 issue of Design World Magazine.